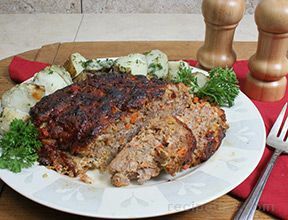 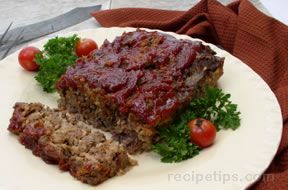 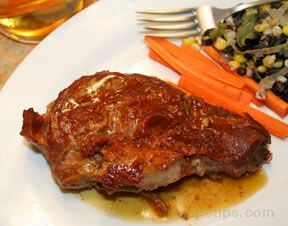 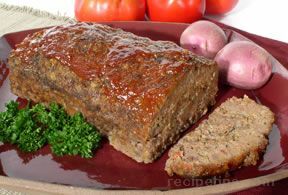 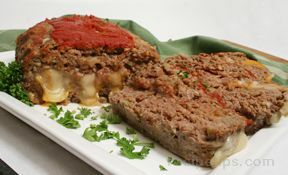 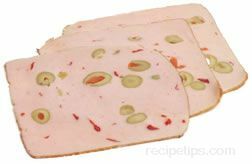 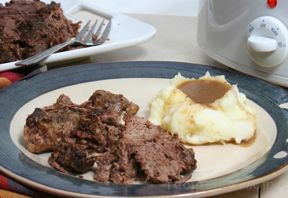 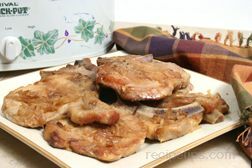 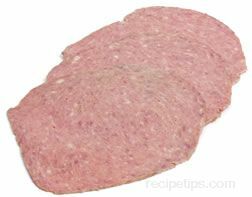 Great tasting meat loaf that holds its shape without cooking it in a pan. 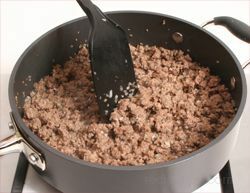 Combine in a large bowl, ground beef, 1/2 cup ketchup, eggs, soup mix and bread crumbs. 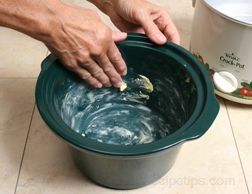 Use your hands to mix all the ingredients thoroughly. 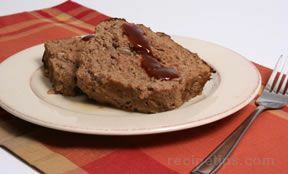 Shape the mixture into a loaf that will fit the shape of your slow cooker. 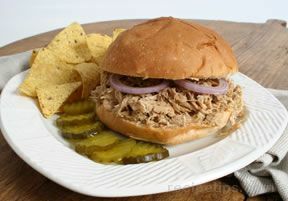 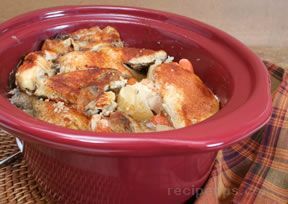 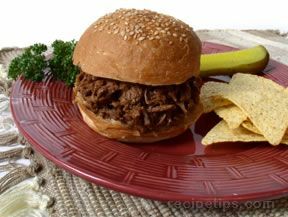 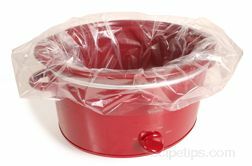 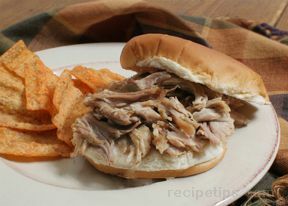 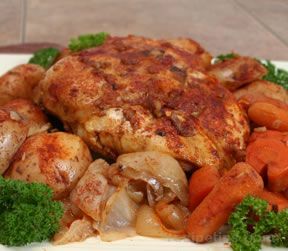 Place the loaf into the bottom of a 5 or 6 quart slow cooker. 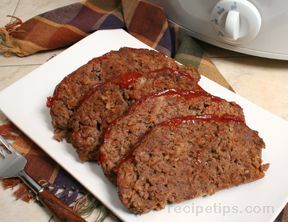 Cover and allow the meat loaf to cook on high for 1 hour and then finish cooking on low for 2 to 4 more hours. 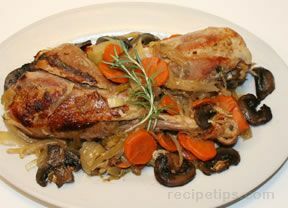 Or, cook on low for 4 to 6 hours. 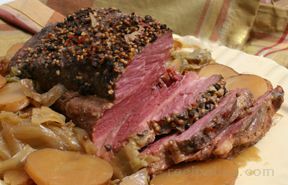 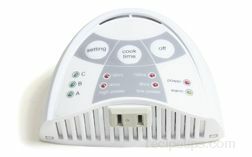 When properly done, the meat should have an internal temperature of at least 145Â°F. 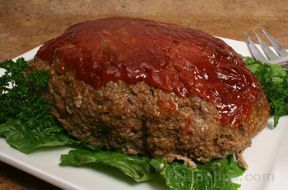 One half hour before serving spread the 3/4 cup of remaining ketchup on top of the loaf. 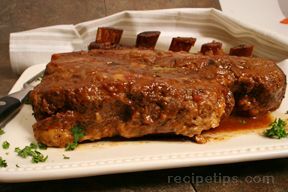 Sprinkle ketchup evenly with the brown sugar. 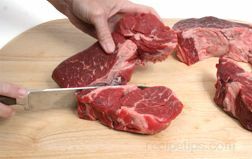 Cover again and allow the meat to cook for an additional 30 minutes on low. 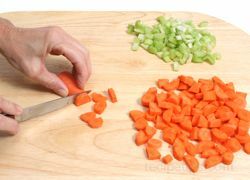 When done, use two spatulas, inserting one at opposite sides of the loaf and lift from the slow cooker. 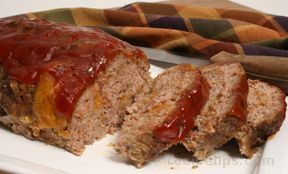 Slice the meat loaf and serve it while it is still warm.